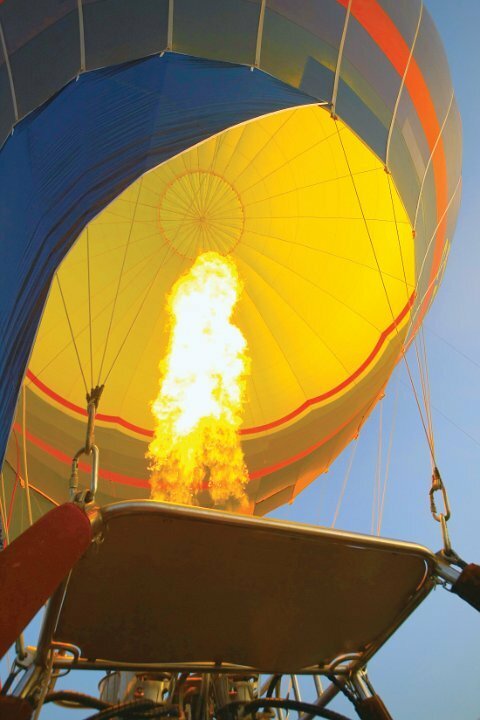 Raging Thunder will take you up on a magical and exhilarating flight of your life in the world's largest commercial hot air balloon. 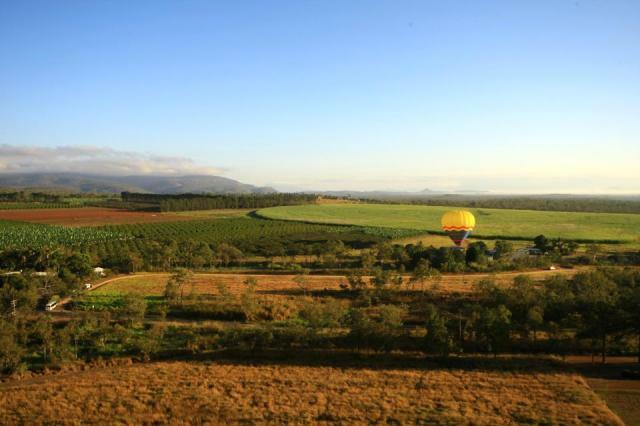 The Atherton Tablelands provide the perfect conditions for Hot Air Ballooning and the view from your basket of rolling hills and winding streams is stunning. After a little rest you are now ready for an afternoon of rafting on the Barron River. 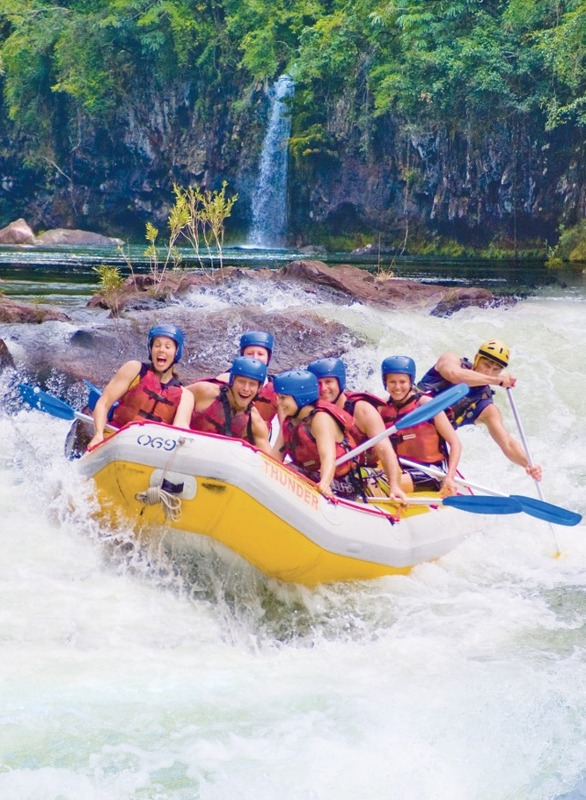 Your "Rescue 3" trained guide will give you all the tuition needed for this exciting afternoon rafting, and only the worlds best rafts are used! No experience is necessary. Raging Thunder will pick you up from your accommodation at approx 4.10am for the 90 minute drive to the flight site. You will arrive just in time to see the balloons beginning to inflate. 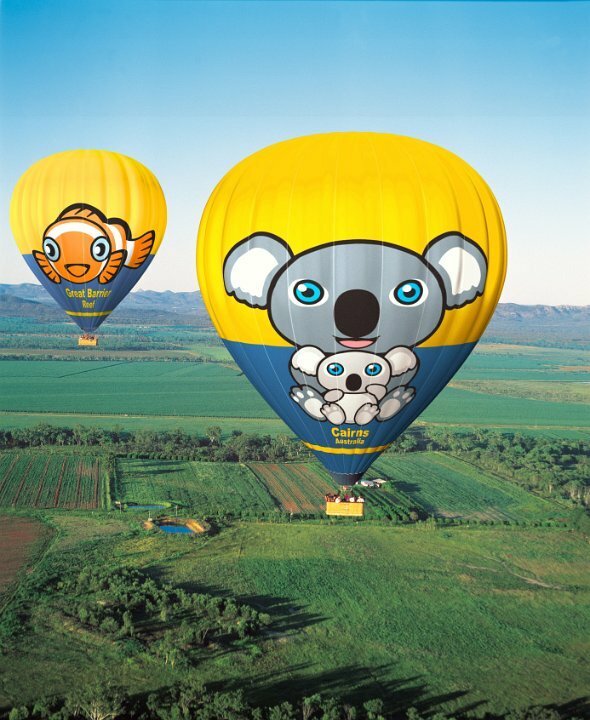 The balloon tour returns to Cairns at 10.00am and you can expect to be back at your hotel by 10:30am. 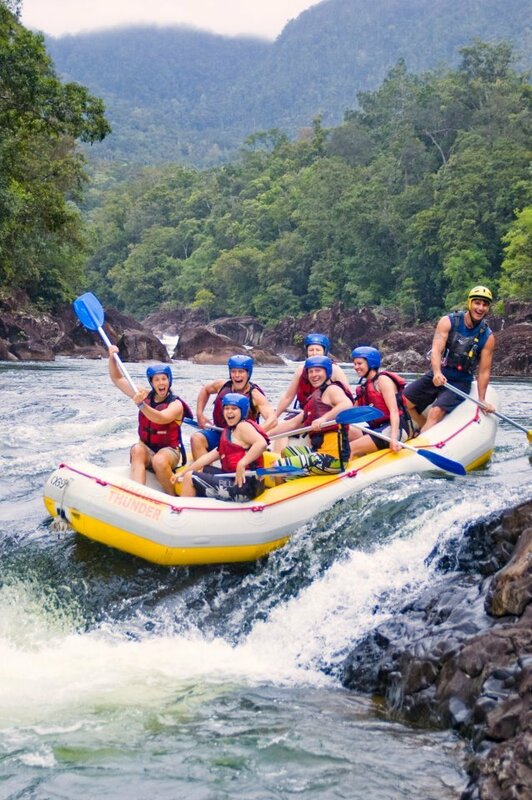 After a break at your hotel with plenty of time to have lunch and a rest you will be picked up at around 1:30pm for the Barron River Rafting experience. 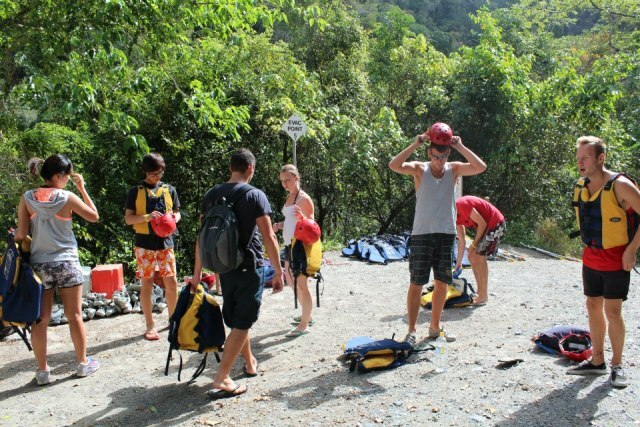 Rafting: Lace-up shoes or reef / teva sandals, swimming costume, change of clothes, towel, sunscreen. GREAT NEWS: All bookings made through Travstar.com do not incur a credit card surcharge! I particularly enjoyed my wife falling out of the raft !! Unbelievable experience! The instructors were funny, entertaining and the rafting was great! Highly recommend coming here for a holiday/birthday/bucks party/hens or even just to be outside and enjoy the river! Nori and rob were awesome! Horrrrrda horrrrrrrda horrrrrrda !!! 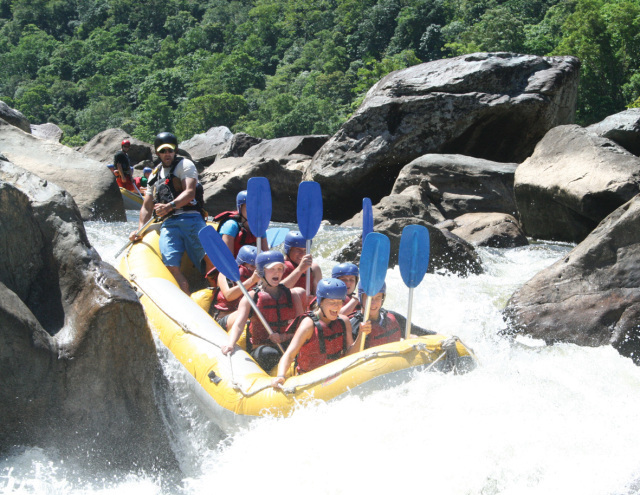 The rafting was great fun, and the guides excellent. 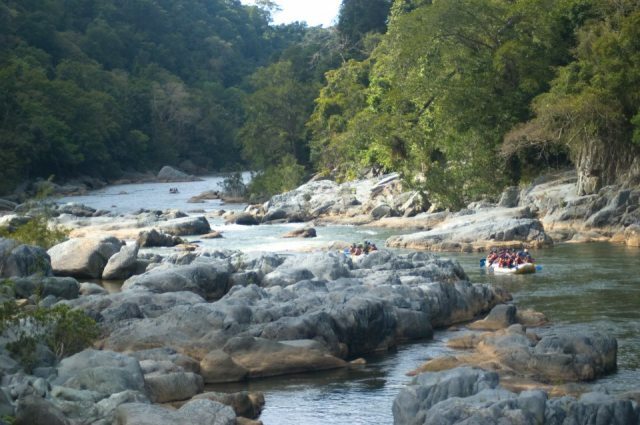 The only disappointment was the lack of water in the river, and thus the guides having to lift the raft over the rocks on a number of occasions when we were stuck. They even pointed out the the river was well below the normal water line level that day. WE HAD A FANTASTIC TIME AND IT WAS EVERYTHING THAT WE HAD HOPED, THE GUIDE (SEAN) WAS VERY PROFFESSIONAL AND GREAT FUN. My 4 year old and I loved it. Staff were great and professional. Would happily recommend them. We had a wonderful time! What an adventure. Pilot was very knowledgable of what he was doing. 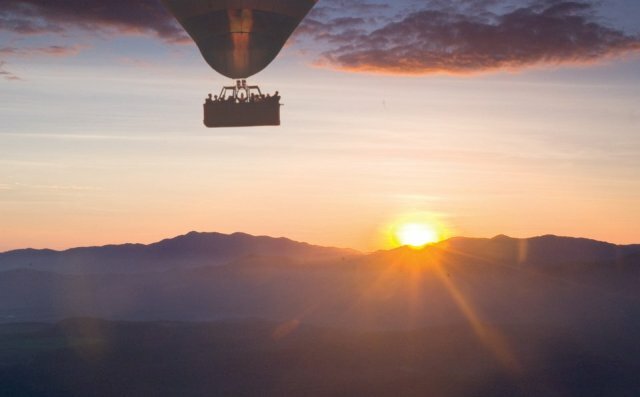 A balloon flight is one of the activities you have to put on your list 100 things to do before your time is up. The silence and tranquility put a new dimension to flying. Up, Up and away! Hot Air Balloon launch.